From defence radars, magnetic resonance imaging (MRI) and mobile communications, to microwave ovens and Wi-Fi, radio frequency (RF) signals are present all around you. While this is a testament to the importance of RF, it also shows why it is critical to make sure that the numerous RF applications in the world work perfectly as designed, and are also able to coexist with each other. This article takes a look at some of the latest tools available to solve RF design challenges. Field-programmable gate array based signal processing continues to benefit test equipment in terms of speed and capacity. This has allowed RF instrument manufacturers to integrate more functionality into a single box. Dr Jan Benhelm, head of marketing, Zurich Instruments AG, says, “Combining this digital-signal-processing capability with the finest analogue front-ends allows us to design instruments with unprecedented performance, lowest input noise and highest dynamic range, and at the same time, offering a complete toolset for time and frequency domain analysis has become possible. With these multiple functions at hand, the user can simultaneously analyse signal inputs in different ways and get a comprehensive view of the setup or device under test. One of the biggest advantages of digital signal processing over analogue is that you can copy a signal without loss of signal-to-noise ratio. This opens a multitude of possibilities limited only by the amount of available memory and signal-processing capacity. Instrument-control tools like LabOne work across all instrument platforms to provide a high level of support to the user when setting up demanding measurements. One prominent example is the feedback-loop operation. “It does not matter if you are testing your new micro-electro-mechanical systems (MEMS) gyro or phase-locking two lasers, LabOne will help you to find the right proportional-integral-derivative (PID) parameters and characterise the feedback-loop performance. If needed, autotune feature will automatically try to reduce the standard deviation of the error signal by adjusting PID parameters,” adds Dr Benhelm. Model functions of the transfer function and step response are provided that can easily be compared to measurements with the parametric sweeper or the built-in oscilloscope. Some application fields are MEMS characterisation, fluorescence lifetime spectroscopy, THz spectroscopy, synchrotron experiments, mass spectroscopy and pulsed radar applications. The new source-phase-control option is introduced on high-performance network analysers, which aim to help study device response under varying phases. This option would prove to be useful for engineers carrying out active load pull measurements on amplifiers. Another recent development is the ability to control the phase of multiple signal sources (internal and external) for testing differential IQ modulators. This used to be a lot more difficult earlier. Another broader trend, which is good for both wafer-level users as well as normal analyser users, is that, spectrum analyser feature is now introduced in network analysers. This would enable users to carry out device-under-test analysis under modulated conditions or analyse spurious and harmonic responses of the device with a single connection, which will ease the measurement effort and overall test throughput. 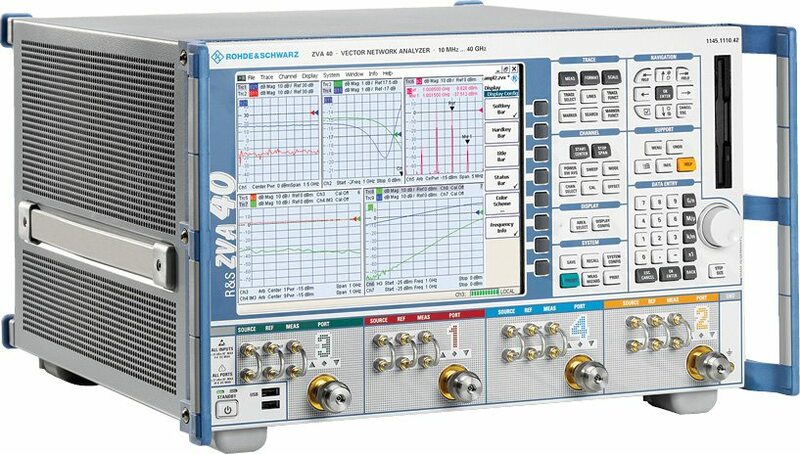 Keysight has also launched low-cost network analysers for manufacturing lines as well as multi-port network analysers that work on modular platforms like PXI, which can be used for simultaneous testing of multiple devices for very fast measurements during production testing. Fang adds that newer instruments come with newer capabilities like importing stored limit templates that make it easy to evaluate electromagnetic interference levels for pre-compliance testing. Their SSA3000X includes a front-panel audio-output jack for listening to amplitude modulation and frequency modulation demodulated signals as well as a single-page menu that gives easy access to important measurement functions. “I particularly like Tektronix RSAA306 and our own Analog Arts SL987. These products are portable and offer full-featured spectrum-analysis capability,” adds Shayan Ushani, editor, Analog Arts Inc.
Next articleHow Does the Vector Signal Transceiver Test Keep Up With Tech?